Around the same time as The Ivy was refurbished two siblings popped up; the Ivy Chelsea Garden on Kings Road (where it’s near impossible to get a table) and The Ivy Market Grill just by Covent Garden Market. When Linus and Mirja were visiting at the end of May (where does the time go?!) we went here for Sunday brunch on their last day in town and it was such a nice send off. The brunch menu is long and has plenty of egg dishes to choose from and everything we had was top notch. 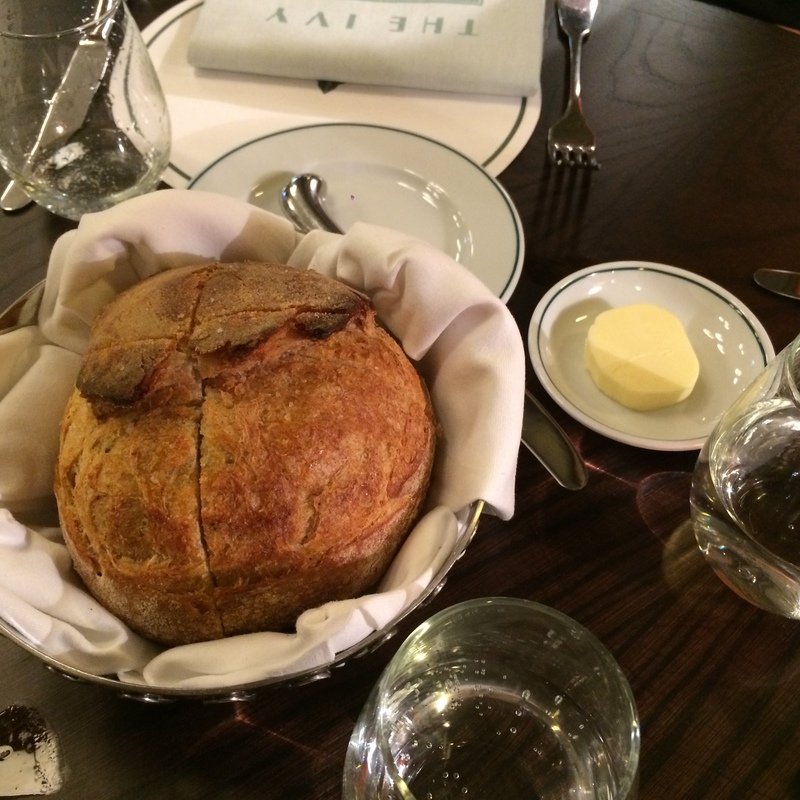 We ordered the sourdough for the table not realising it was a whole loaf, still warm. That’s several plus points just there! 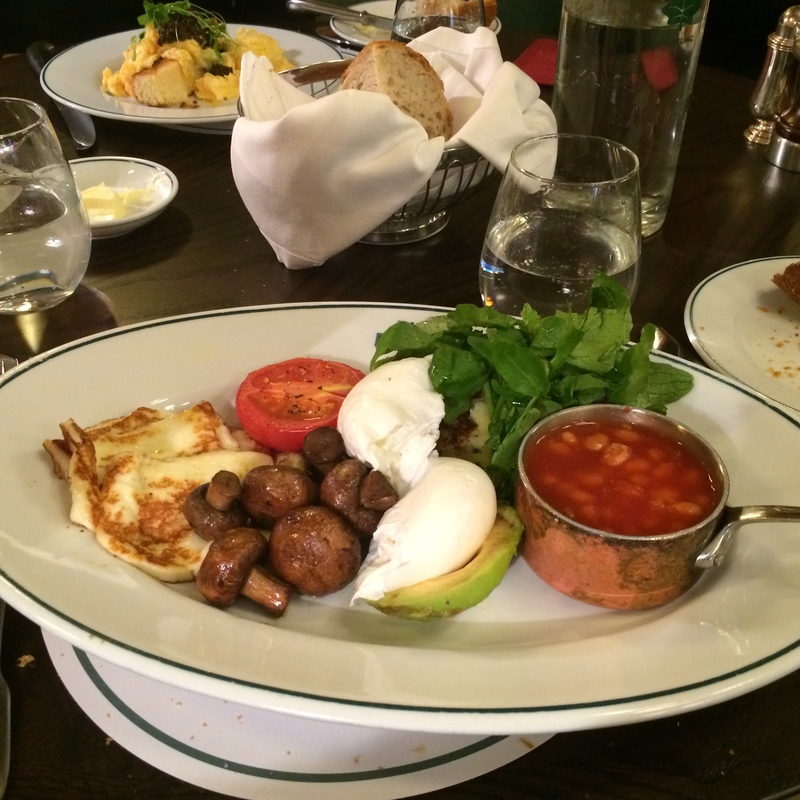 Mirja had the vegetarian Full English breakfast consisting of halliumi, eggs, fried mushrooms and tomatoes, avocado and baked beans served in a mini copper pot. Really fresh and a nice breakfast dish! 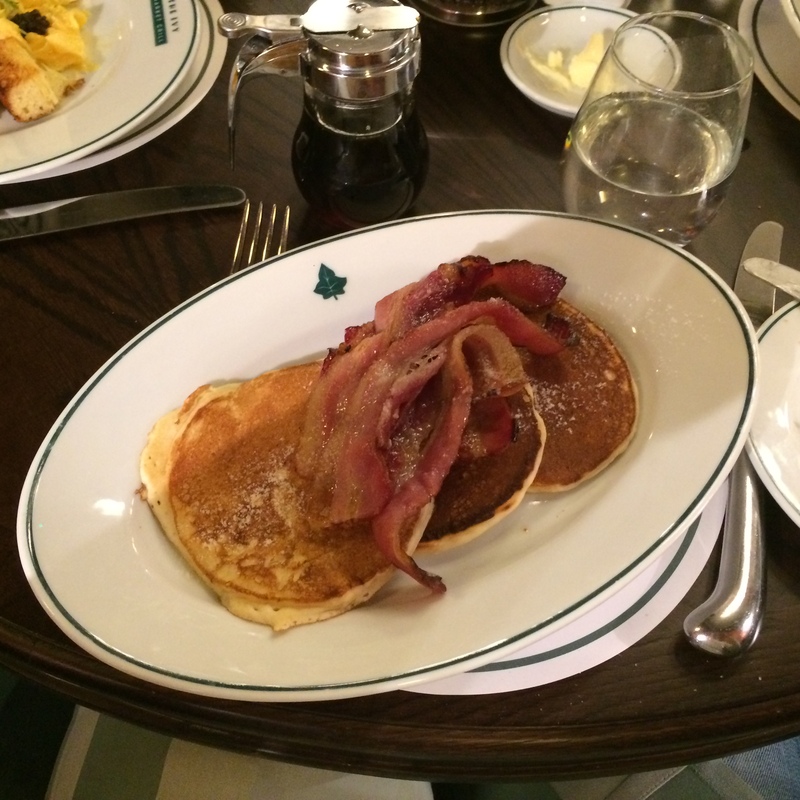 Linus had the thick pancakes with bacon and maple syrup – that’s just up his street. And they were good. It’s so important that the simple dishes are cooked perfectly, and here they were. 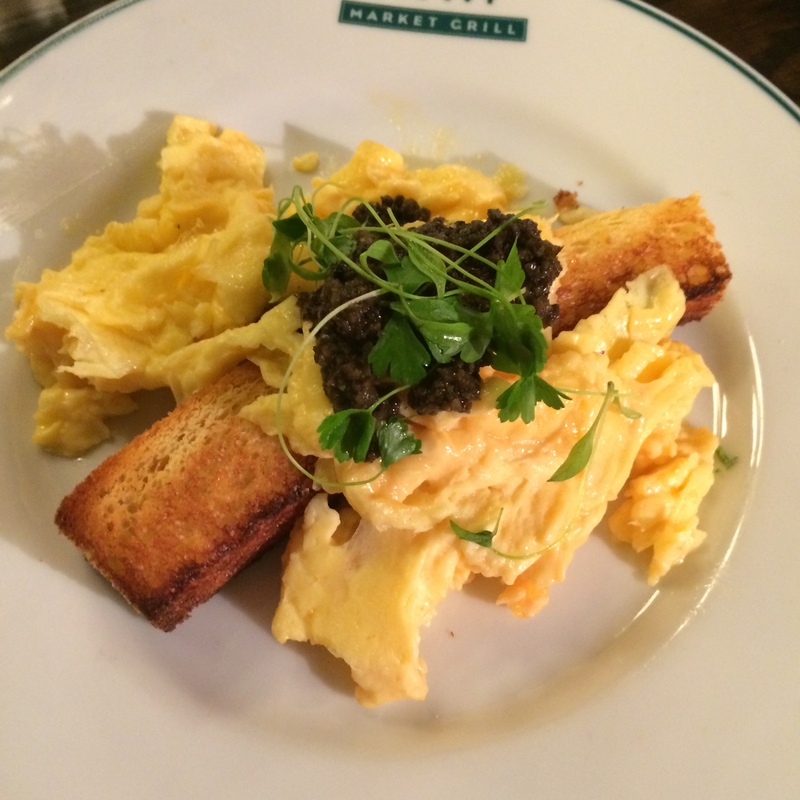 I loved my scrambled eggs with truffle and toasted brioche. Although I make my own scrambled eggs a lot softer, these were still well-made and well seasoned, and the truffle on top was just a delicious pairing! I will definitely go back here for brunch or breakfast; I like both the ambiance and the menu. Think of The Ivy Market Grill as a low-key alternative to The Wolseley.